Today, Philip Alston, a highly distinguished human rights expert and U.N. Special Rapporteur on Extrajudicial, Summary or Arbitrary Executions, published a report addressing international law issues raised by the policy of “targeted killings”. Chase Madar, “How Liberal Law Professors Kill: Harold Koh Learns to Love Bomb Power,” Counterpunch, May 14-16, 2010. 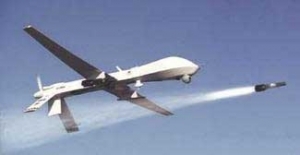 1 Comment on "Targeted Killings: U.N. Special Rapporteur Alston Publishes Report to U.N. Human Rights Council"
It is rare to find a specialist in whom you will surely have some faith. In the world in the present day, nobody actually cares about showing others the best way in this matter. How fortuitous I am to have actually found such a wonderful site as this. It is really people like you exactly who make a true difference these days through the concepts they reveal.